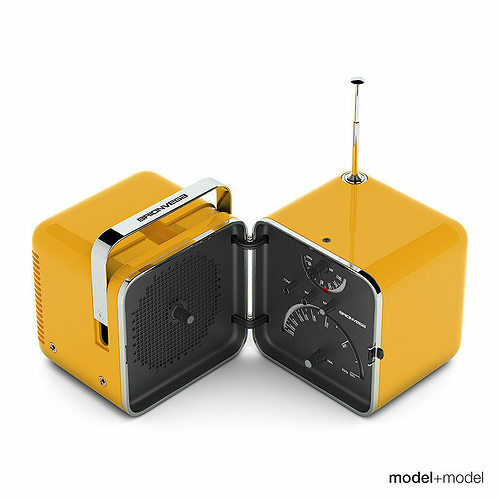 We are glad to introduce you a high quality 3d model of the iconic radio Brionvega TS 502. It was created paying much attention to all the details of the real radio. The model is perfect for close ups and looks great in contemporary interior scenes. The model is rigged. See the preview of the rig on youtube: https://www.youtube.com/watch?v=2x2fu0AWb2k Available in 5 different colors: white, black, yellow, red and green. All materials and textures are included. This model is one of other great models that goes together in the Vol.01 Accessories. The Volume you may find on modelplusmodel website.